MB7374 HRXL-MaxSonar-WRST7 | MaxBotix Inc. 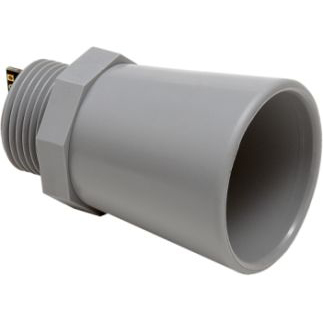 Features of the weather resistant MB7374, HRXL-MaxSonar-WRST7, include millimeter resolution, short to long distance detection, range information from 500mm to 5000mm for the nearest detectable target, heightened sensitivity over our standard sensors, a 6Hz read rate, and various output options: pulse-width, analog voltage, and TTL serial. 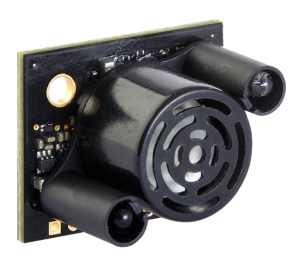 The MB7374 from the HRXL-MaxSonar-WRS line of outdoor sensors is a rugged ultrasonic sensor component module. 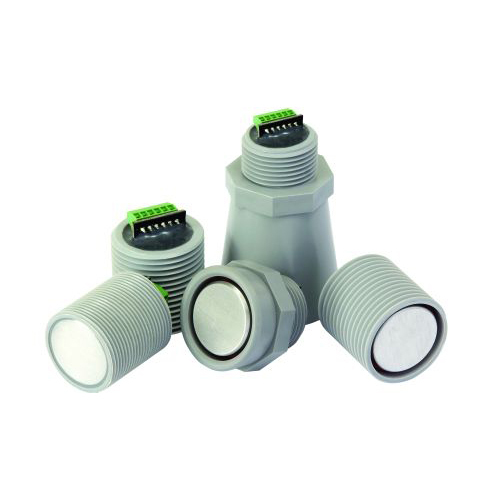 This sensor comes in a compact and robust PVC housing which meets the IP67 water intrusion standard and matches standard electrical 3/4‑inch PVC pipe fittings. The HRXL-MaxSonar-WRS sensors are factory calibrated to match narrow sensor beam patterns and provide reliable long-range detection zones. The MB7374 has an internal filter that is a recent biased exponential weighted average. This filter is limited to change a maximum of 7mm per second. 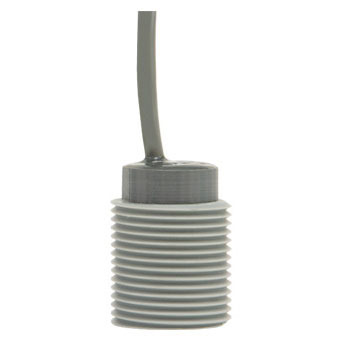 The sensor accurately applies temperature compensation to every reading, using either the integrated temperature sensor or the optional external temperature sensor, HR-MaxTemp. In addition, the MB7374 offers virtually noise free distance readings through the use of high-output acoustic power combined with continuously variable gain, real‑time background automatic calibration, real‑time waveform signature analysis, and noise rejection algorithms. This holds true even in the presence of many of the various acoustic or electrical noise sources. MB7354 is the RS232 version of this sensor. Ranges from 500mm to 5000mm with a 6Hz read rate. Pulse-width, analog voltage, and TTL serial. Reports range to closest target. Ranges from 500mm to 5000mm with a 6Hz read rate. Pulse-width, analog voltage, and RS232 serial. Reports range to closest target. Uses filtering to prevent rapid changes in readings. Filter resets at 2% window. Ranges from 500mm to 5000mm with a 6Hz read rate. Pulse-width, analog voltage, and RS232 serial. Reports range to closest target. Ranges from 500mm to 5000mm with a 6Hz read rate. Pulse-width, analog voltage, and TTL serial. Reports range to closest target. Uses filtering to prevent rapid changes in readings. Filter resets at 2% window.